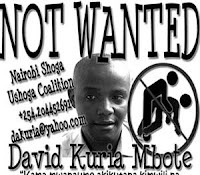 In the midst of death threats and overwhelming animosity of Kenyan society aimed at the LGBT community, gay activist David Kuria is running for the Kenyan senate. 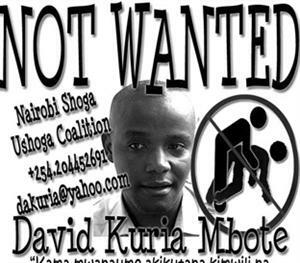 "In Kenya, 'homosexual behavior' is punishable by up to 14 years in prison"
"96% of Kenyans said that homosexuality should be rejected by society"
The out, lovely, and terribly brave pro-gay (and anti-poverty) activist David Kuria is running for a senate seat in Kenya. 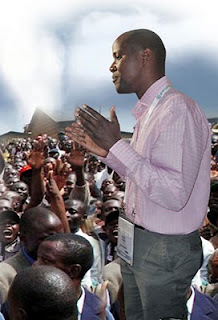 He does this despite the fact that, should he ascend to public office, several of his new colleagues will rather he rot in a jail cell than roam the halls of power. OUT RUN - David Kuria character sketch Feb 2012 from Leo Chiang on Vimeo.